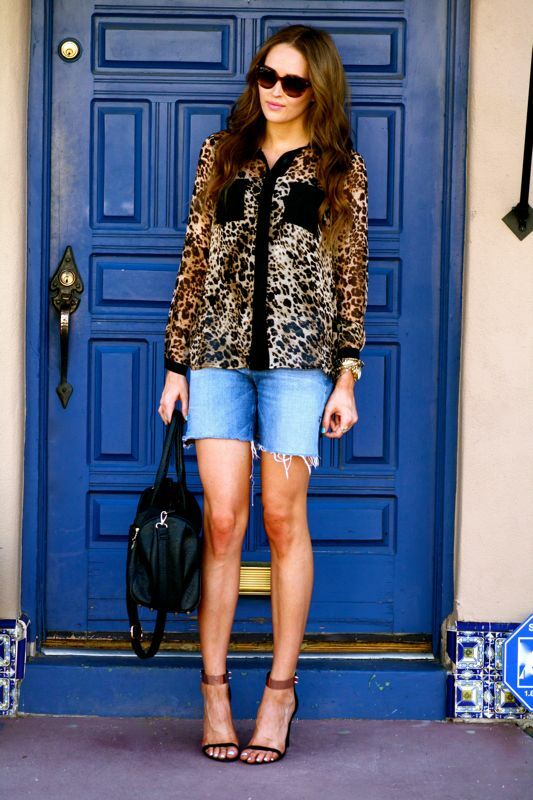 Denim shorts are a sure sign of summer and if you haven't noticed they've been in heavy rotation lately- here & here. 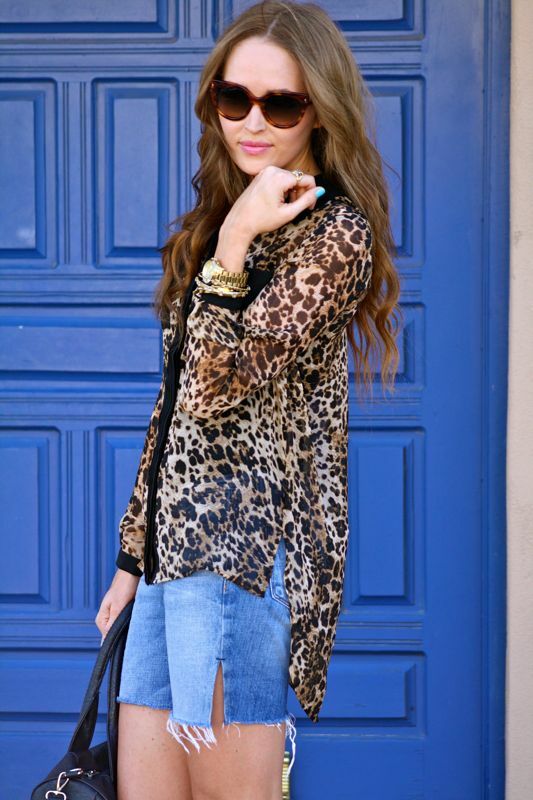 I love pairing denim shorts with a structured blouse & heels; as it adds the perfect balance. This outfit is part of an upcoming East vs. West series I'm doing with some of my favorite bloggers: Jackie from Living After Midnite, Jessica from My Style Vita, Tracy from The Right Shoes, Ashley from Pursuit of Shoes and Rebecca from Oomph. 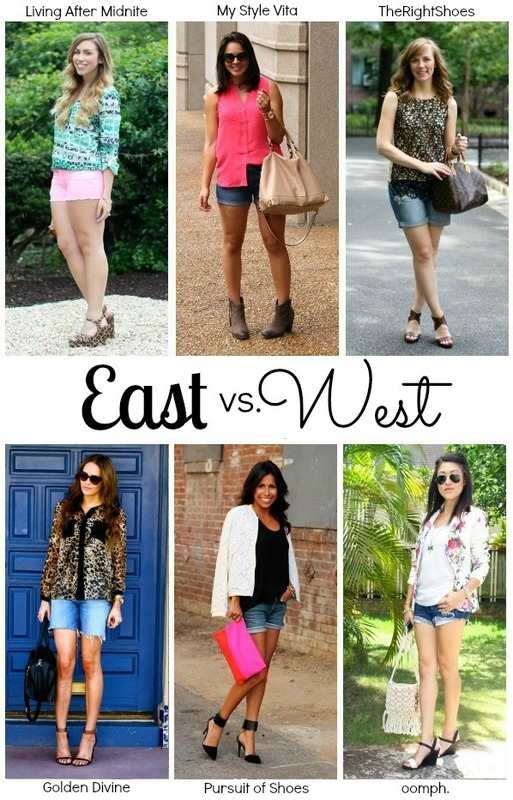 Check out their blogs to see how they styled denim shorts in their own way! Also don't forget to check back every Tuesday as we'll be showing you how to style different summer trends. Loving these shoes, they're KILLER! Perfection from head to toe. You look gorgeous! I love that these shorts are a bit longer than the traditional denim cut-offs. 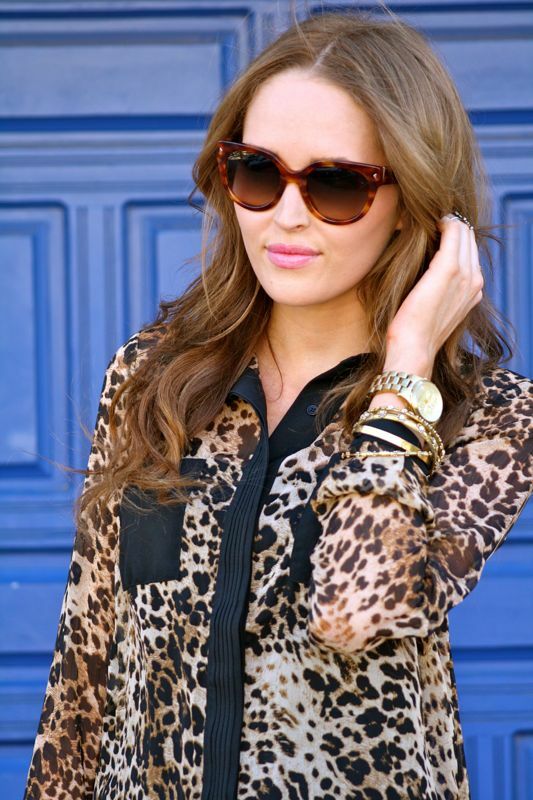 I have a slight obsession with leopard, so loving the high-low shirt! Ohmigosh!! That blouse & those heels look like they were made for each other! Love love love them! loving your shoes and top! I love the look of this outfit. I am still trying to get used to longer shorts because short shorts are not flattering. Though I must admit I always feel boyish in them. Did you ever feel that way?! You are rocking it and have me feeling inspired! Thank you so much for stopping by, I truly appreciate it! You look fantastic!! love your shirt! !